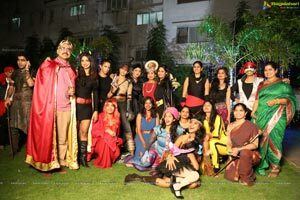 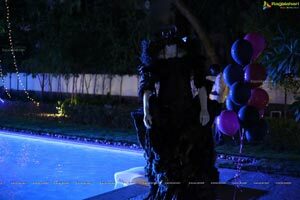 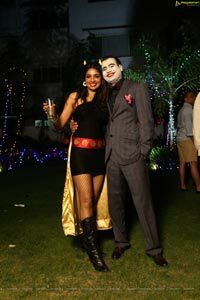 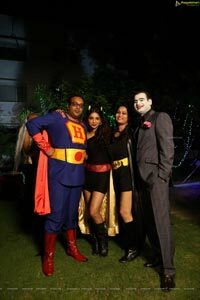 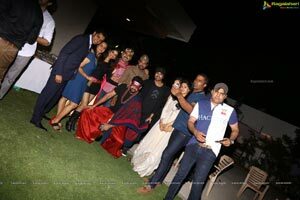 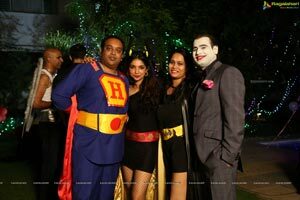 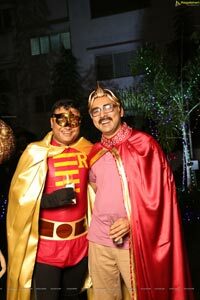 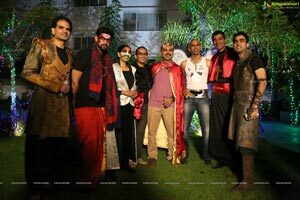 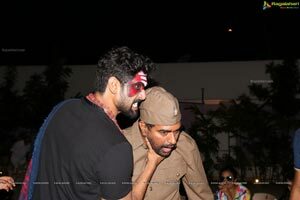 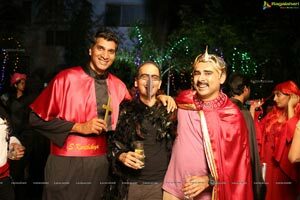 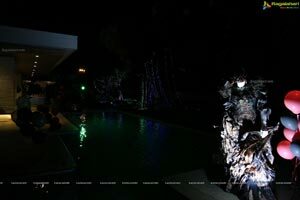 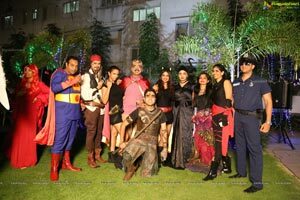 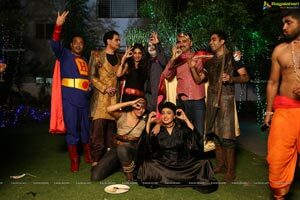 Kanika D Kovelmudi, wife of director of film SIZE ZERO - Prakash Kovelamudi threw a Surprise birthday bash - a costume party, where the who's who of the Telugu Industry and Social circuit turned up wearing their costumes. 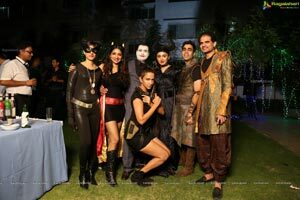 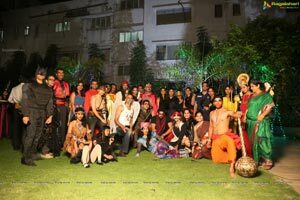 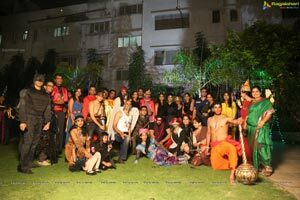 The Size zero team was seen having lots of fun. 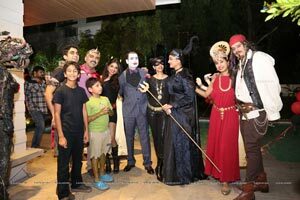 Anushka was dressed as the amazing Maleficent along with Lakshmi Manchu - the tomb raider - Rana Daggubati as Sameuel Kartikeya, a character from Prakash's film. 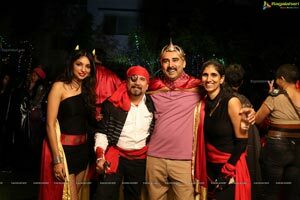 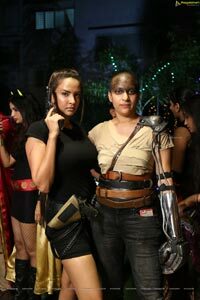 Kanika Kovelmudi made sure friends and team mates worked hard on their costume. 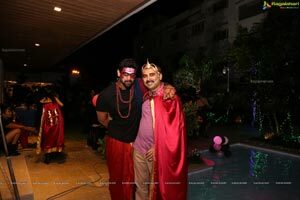 Ram Charan - the anti hero. 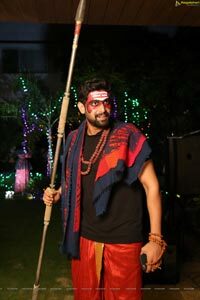 Nani - the eegaman, Rama Rajamouli as Rani Lakshmi Bai and the legendary director KRR was a wizard. 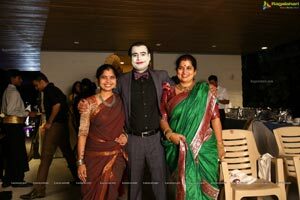 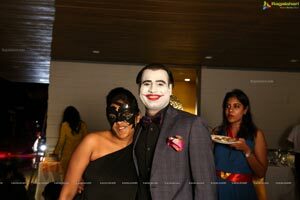 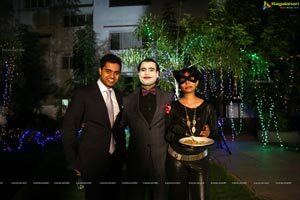 Producer PVP turned up looking dapper as Joker - from Batman Returns along with his wife Kitty. 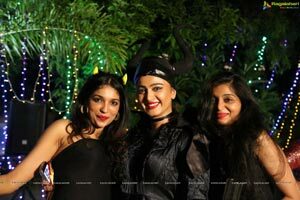 Writer of the film size zero- Kanika Kovelmudi say it was possible to pull this off as the entire team Size zero was very excited about the surprise birthday plans!!! 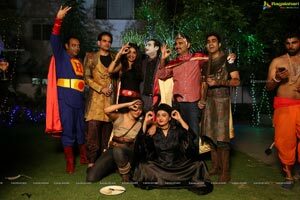 Arya was shooting out of town but he sent images to wish the birthday boy. 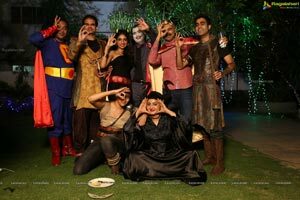 The size zero team is gearing up to finish the romantic comedy starring Arya and Anushka and Sonal Chauahan. 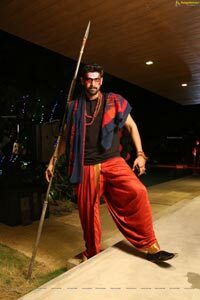 It has a stellar cast line up with heavyweights like Prakash Raj,Urvashi, Ali, Posani, Master Bharat.